EASTPORT, Maine — A subsidiary of Cate Street Capital released a statement Friday morning confirming reports that it has plans to construct a multimillion-dollar wood pellet plant near the Port of Eastport marine cargo terminal. Thermogen Industries indicated in the release that it signed a letter of intent with the port authority’s board on Feb. 19. The plan calls for construction of a $120 million plant that can produce between 200,000 and 300,000 tons of torrefied wood pellets each year. Thermogen would lease approximately 40 acres from the port authority for 20 years, with the option of extending the lease another 20 years. Depending on the size and capacity of the plant, the facility could create approximately 75 jobs in Eastport and more than 300 additional forestry-related jobs in the Maine woods, the company indicated. In 2011, Cate Street Capital, based in Portsmouth, N.H., bought the former Great Northern paper mills in Millinocket and East Millinocket and restarted the East Millinocket mill under the Great Northern Paper name. Last year, Thermogen announced plans to build a similar torrefied wood plant at the Millinocket mill site and has begun site preparation for that facility. Thermogen said in Friday’s statement that it hopes to begin construction in Millinocket later this spring, and by the end of this year to start producing torrefied wood products, reaching commercial operations in early 2014. The company indicated it hopes to begin construction in Eastport “as early as possible” in 2014. John Halle, president and CEO of Cate Street, said in Friday’s statement that the site in Eastport is “ideal.” He said the firm plans to ship pellets out of the adjacent port facility. 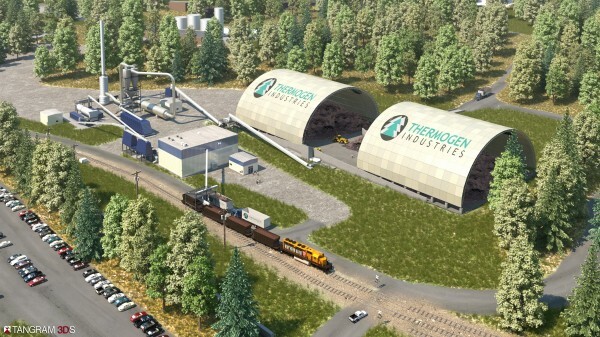 Thermogen will make pellets with biomass material left over from wood harvesting operations, the company wrote in the release. The torrefaction process changes the properties of the harvested wood by using microwave technology, not heat, to create a black pellet which burns with heat output and handling characteristics similar to coal, but much cleaner. According to the company, it has secured the exclusive rights in North America for proprietary microwave technology to produce its torrefied wood product, which is trademarked as Aurora Black. Gov. Paul LePage indicated in Friday’s statement that he welcomes the news about Thermogen expanding to Eastport. “I give my full support to this agreement, and I am very encouraged by the large number of quality jobs that will be created,” LePage said. The port, which last year shipped out exports in the form of dairy cattle and wood pulp, installed a new $10 million cargo conveyor system in 2012. Chris Gardner, director of the port, indicated in the Thermogen release that the installation of the conveyor “played a major role in making the Port of Eastport an attraction for a project like this.” The cost of the new conveyor was financed with the help of $4.5 million in state bonds and $2.25 million in federal funds allocated as part of the economic recovery stimulus package, with the rest being covered through direct investment by the port’s authority. Gardner said Friday in a phone interview that the deepwater port’s top customer in recent years has been the Baileyville pulp mill, which has averaged about 400,000 tons of pulp shipped annually from Eastport, typically in shipments of 25,000 to 40,000 tons at a time. The projected top output of 300,000 tons from the Thermogen plant, he said, would be significant. “This would be a considerable addition to the Port of Eastport,” Gardner said. The project could end up benefiting from the state’s New Markets Capital Investment Program, which provides state tax credits of up to 39 percent to investors in qualified community development entities that reinvest in qualified businesses in eligible low-income communities in Maine, Gardner added. Gardner stressed that the torrefied wood pellet operation is not expected to displace any of the shipping traffic at the port. He said that, depending on the eventual level of pellet shipments leaving Eastport, the port may consider adding more personnel to its workforce. “Much of that is very premature right now,” he said. Scott Tranchemontagne, spokesman for Thermogen, said Friday that the company is just beginning the permitting process in Eastport and so does not have final plans for what the facility will look like. He said there is a range for what kind of capacity it might end up having, but that if the company can realize its goal of producing 300,000 tons of torrefied pellets each year, it expects to spend $120 million on the plant. It feasibly could start up at a lower annual capacity of around 200,000 tons, he said, which likely would result in lower initial project costs. He said it likely will be a couple of years before the Eastport site is operational if it gets the approvals it needs. He said the company has no plans to make conventional wood pellets, either in Millinocket or Easport. 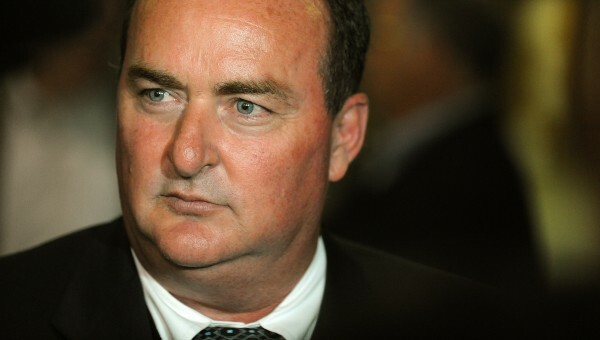 Tranchemontagne said the company plans to ship its supply to Europe, where the demand for torrefied pellets is more robust than in North America, but he added that the company is keeping an eye out to see if demand develops in the domestic market. “It’s safe to assume that emissions [standards] will only tighten over time domestically,” he said. Europe has more aging coal-fired power plants and fewer timber resources, according to Tranchemontagne, which is why the demand for Thermogen’s products is higher overseas. He said the planned torrefied pellet plant in Millinocket will not be able to meet European demand, which is why the firm is interested in a second plant in Washington County. He said Thermogen plans on shipping pellets produced in Millinocket out of Searsport rather than from Eastport. Because they burn cleaner, torrefied pellets can be used to supplement coal in coal-fired plants to help reduce the plant’s harmful emissions, he said, but are not expected to ever fully replace coal. “It behaves like coal [but] it wouldn’t substitute coal 100 percent,” Tranchemontagne said. A key physical property of torrefied pellets, Tranchemontagne said, is that unlike normal or “white” pellets, they are hydrophobic, meaning they do not absorb water. Consequently, they can be shipped overseas without being affected by the humid marine conditions often found on container ships, he said. Eastport City Manager Jon Southern said Friday that the pellet plant could have a significant economic impact on the city and Washington County. Aside from the jobs it would create, he said, it could provide enough tax revenue to the town to reduce property tax bills for the average homeowner by at least 40 percent. Eastport has approximately 1,300 residents, he said. “Potentially, it’s huge for a community the size of Eastport,” Southern said. Eastport has been affected by the economic downturn as much as any municipality in eastern and northern Maine, he said, but has been making recent strides in attracting new shops and service-oriented businesses to its downtown. A larger project such as this, however, could help draw employers and younger families with school-age children to the easternmost city in the United States.